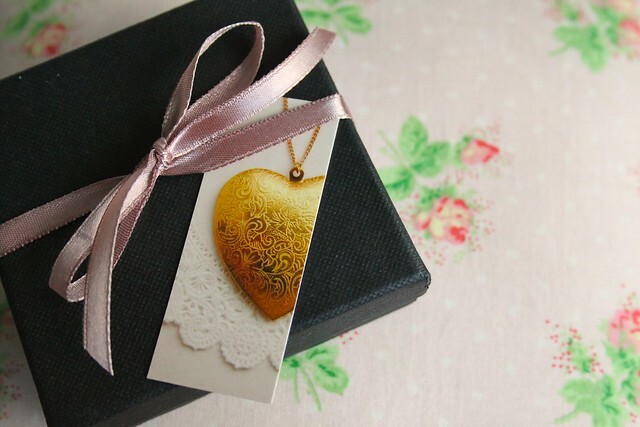 I was lucky enough to be contacted by Maria of Maria Allen jewellery last week, who has sent me some lovely pieces from her collection to show you all. Maria makes jewellery in her spare time when she isn’t studying for her Graphic Design Degree. I discovered her via Twitter and fell in love with the collection as soon as I saw it, so was over the moon when she asked if she could send me some pieces. So, this morning, a beautifully wrapped package arrived on my doorstep, complete with ribbon and an adorable business card. Inside were three little jewellery bags that held some of the sweetest necklaces I’ve seen! 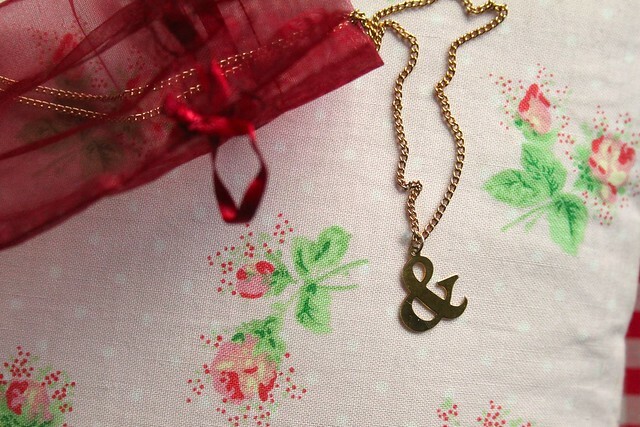 First up is this really sweet Ampersand necklace, priced at £13.50. This is really simple and delicate, and adds a dash of interest to any outfit. I’ve never seen this on a necklace before and think it looks so lovely. I think I’ll wear this one a lot! I absolutely love this next piece! This is the Papercrane necklace, an origami inspired pendant on a simple chain. 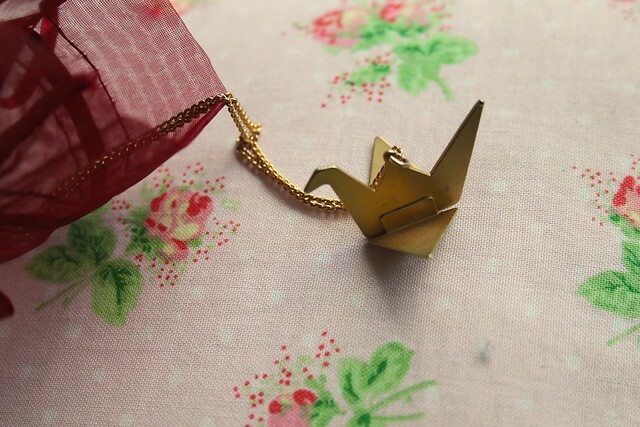 The papercrane is the Japanese symbol for peace, so not only is it pretty, it has a great meaning too! This one is priced at £12.00. 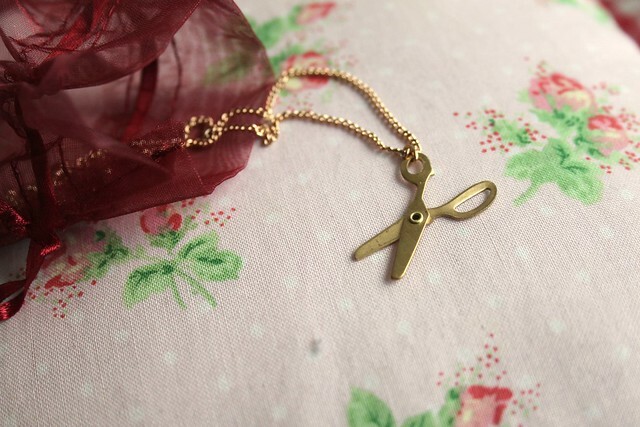 Finally is this oh-so-cute necklace with a scissor pendant. This piece isn’t available on Maria’s site, but is sold here. I adore this one and think it would look great with a really simple outfit. This one is priced at £11.00. I love how the scissors actually move like real ones too – so sweet! As you can see, each one is perfectly chic and simple, and very reasonably priced! The chains are available at various lengths which is really handy. I wore two of my necklaces today and they looked great paired together. I really like the size of the Papercrane. 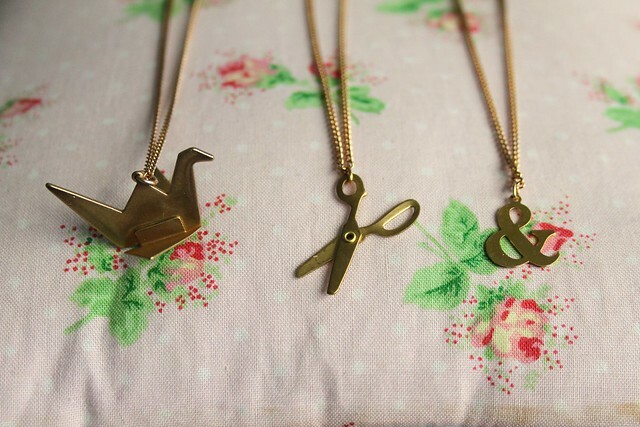 It is such a statement pendant, so goes really well with the more delicate styles, such as the Ampersand and Scissors. Like what you see? Maria has been kind enough to pass on a discount code for all of you. If you would like to save 10% off all jewellery on the Maria Allen website, just enter this code at the checkout! What are your favourite pieces from the collection? Let me know what you choose to buy! I really, really love the & – I love typography! The scissors are also cool! They are so cute! Ill have to have a butchers at the website! 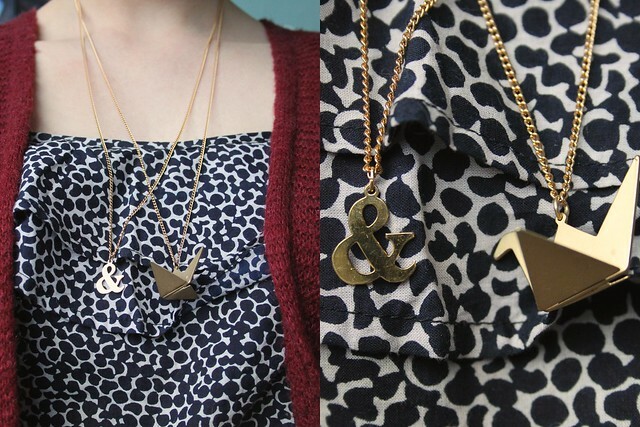 The ampersand, amazingly cute and something completely different! These are gorgeous! Seriously contemplating the Paper crane one!